The latest R.S. 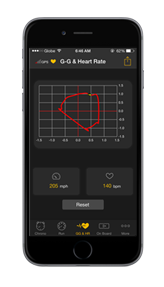 Monitor app includes heart rate monitoring to track the driver’s heart rate. 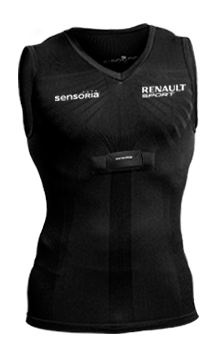 The app is designed to work with the Renault Sport special edition smart t-shirt with integrated heart rate sensors. This new capability helps motorsport enthusiasts improve both performance and consistency in any vehicle. Simply download the free app and purchase your t-shirt!